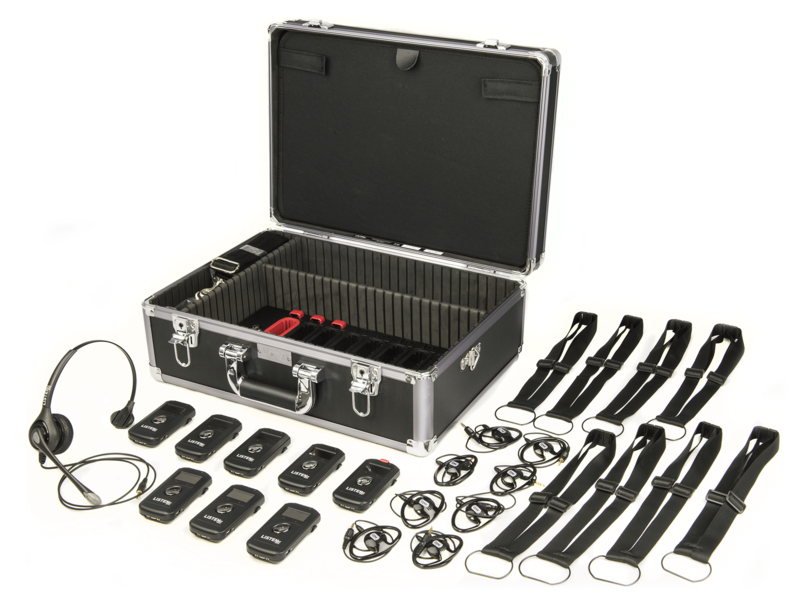 Higher-capacity ListenTALK starter system including one headset and eight individual transceivers. The LKS-2 ListenTalk System is a perfect solution for organizations that require a higher-capacity two-way communications solution right out of the package. Complete with one (1) Headset-2, eight (8) ListenTalk Transceivers (with Leader Clips), and a convenient docking station case (LA-481), the LKS-2 comes with everything needed to power two-way communications between one leader and up to seven additional team members. The LKS-2 is also expandable to meet the growing needs of your organization, business, or venue, and additional transceivers can be added at any time. The LKS-2 ListenTALK Base-8 System is specified.